They got what they wanted. And these dessert drinks spread across social media like wild-fire, spawning off copycat versions. Then some Singapore cafes also jumped onto the bandwagon very quickly. 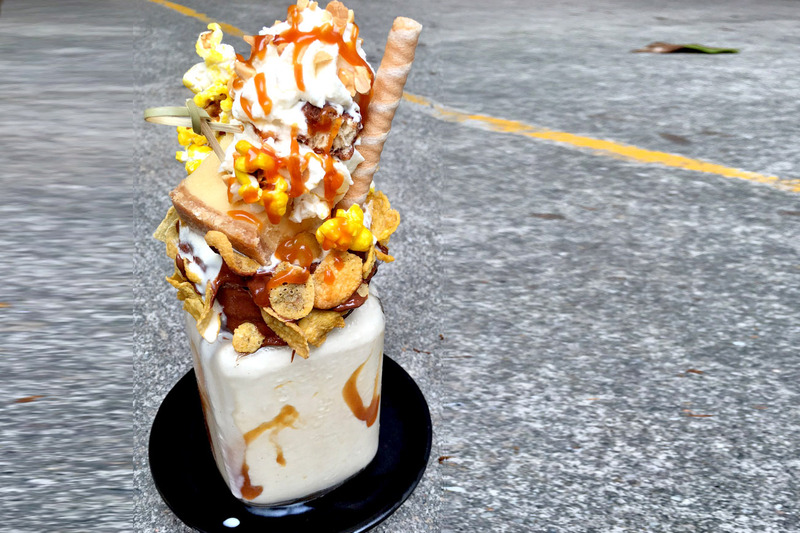 Here are 5 places where you can get these Over The Top Milkshakes. Benjamin Browns Bistro & Bakery which had been quiet for a year or two sprung back into life with its introduction of Over The Top milkshakes the third quarter of this year. The shakes come in flavours of Coffee Avocado, Nutella Banana, Old School Vanilla and Caramel Crunch. 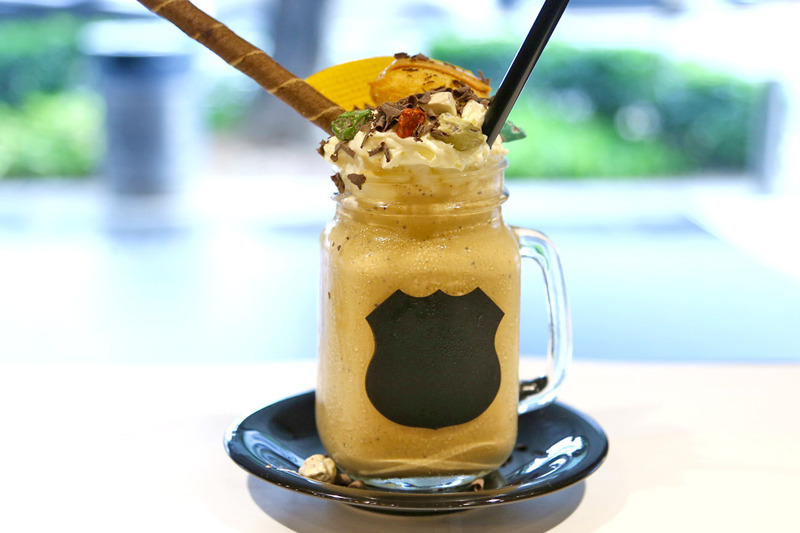 Yes: The ‘pioneers’ and probably the first café to introduce these epic milkshakes to Singapore. They continue to re-invent themselves by having new creations that get more exciting. 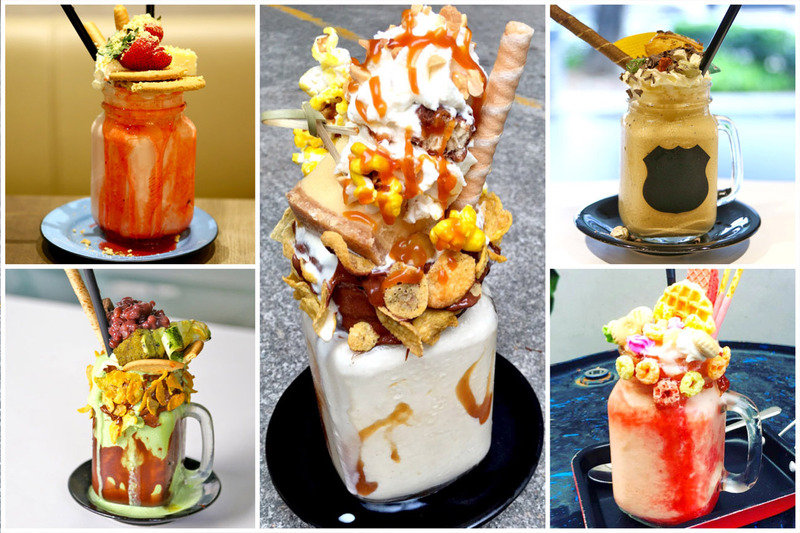 The Thai Milk Tea, Peanut Butter & Jelly and Tim Tams are some of the latest creations, certainly more epic than the original few to attract people to keep coming back. No: The shake itself was thin, while the rest of the components might not have gelled together well. No: Loses out on the Instagram factor as the ingredients do not build up to be as tall. If you need something photogenic, go for the Vanilla Bonbon which has a glazed donut sitting on the opening. The Halal café is known for its concept and décor, like walking into an underground lab, with multiple metallic sewage pipes sprawling across the walls and huge jars of chemicals. Yes: The most affordable of them all. No: Limited flavours available – Nutella Brownie and Strawberry cheese milkshake. We wished they had got more experimental and stuck one of their signature syringes into the shakes. 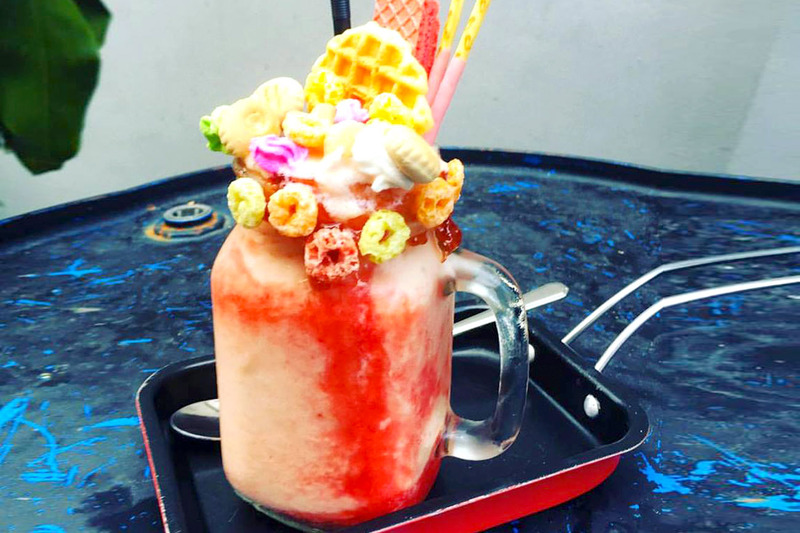 Craft calls theirs the Wicked Milkshakes, having flavours of Ondeh Ondeh Gula Melaka, Banana Nutella, Salted Caramel Pop and Strawberry Red Velvet. 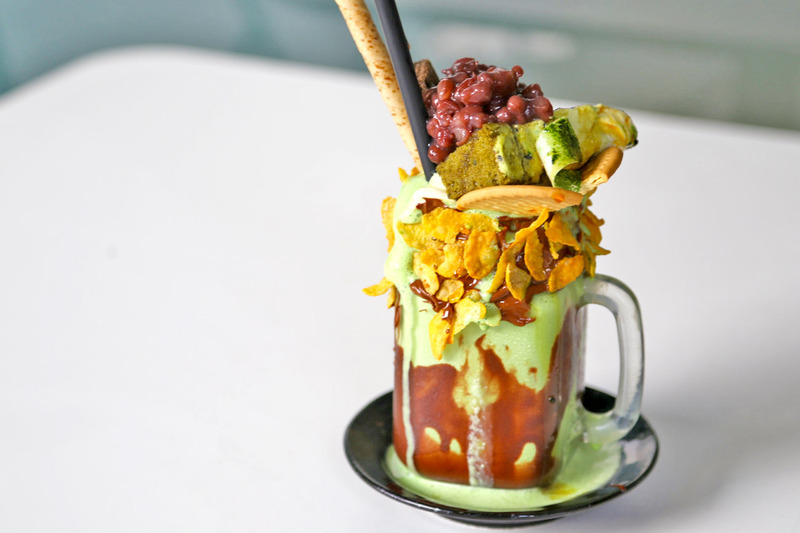 Yes: The Ondeh Ondeh Gula Melaka certainly sounds intriguing, with Gula Melaka milkshake, ondeh ondeh stack cake, waffle biscuits, homemade vanilla whipped cream and roasted coconut shavings. We are sold. No: Are they too late in the game? ← La Nonna Holland Village – Sunday Family Brunch Of Free Flow Italian Cuisine at $39++. Delizioso! 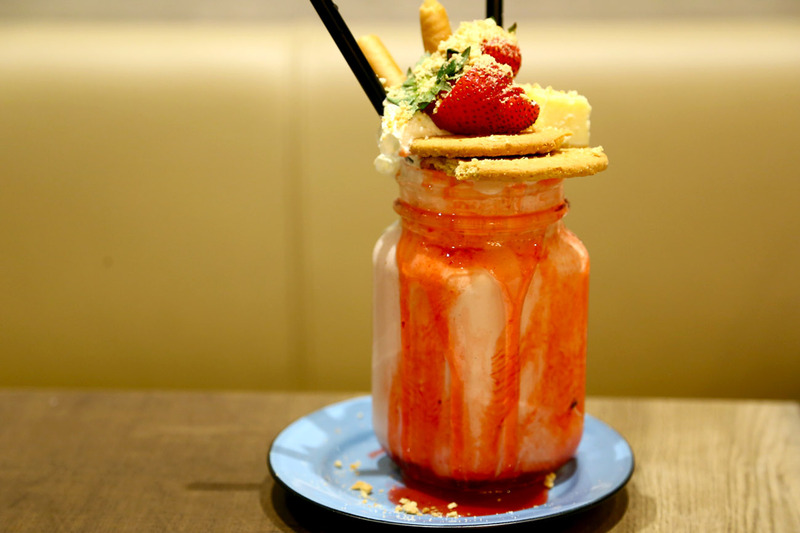 Oh wow, I thought this monstrous milkshake only exist in Australia. Hahaha.